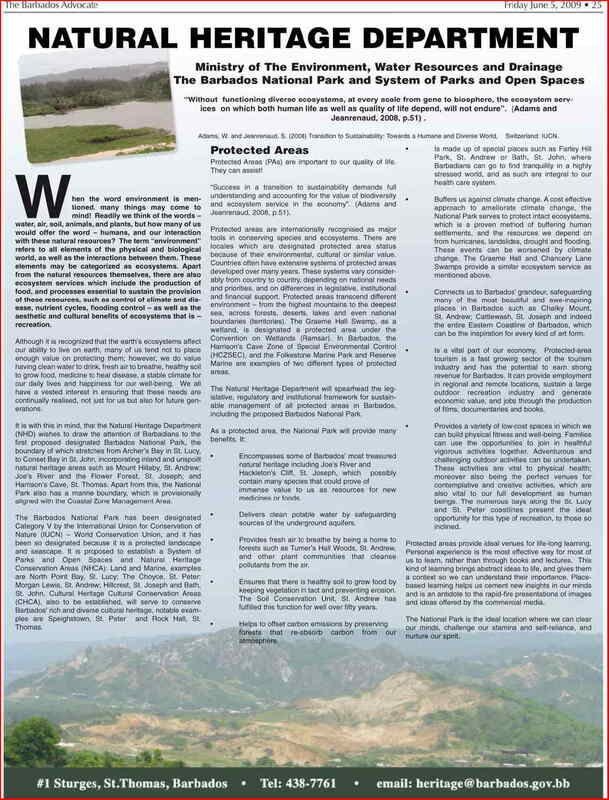 As the last mangrove swamp on the island (Graeme Hall) suffocates to death because the Barbados government refuses to maintain the sea gate, the Natural Heritage Department published a full page advert in Friday’s Barbados Advocate to tell the people that the government is taking excellent care of the “biosphere” and “ecosystem”. We’ve read all the words on the page but we’re still trying to find where it describes what the Thompson DLP government has ACTUALLY DONE or ACCOMPLISHED in relation to the environment and related legislation. You know – a REAL ACTION that produced an ACTUAL OUTCOME or a MEASURABLE POSITIVE RESULT. What we did find in the advert was yet another promise that environmental legislation is being… spearheaded. Yes sir… we’re all going to have environmental legislation ’bout hey someday. We know that because they – both BLP and DLP – keep promising it to us. I believe the first promised date for environmental legislation was 1972 and last promised date for its introduction was this past April, but as with the Freedom of Information and Integrity Legislation, promises are easy – it is real action that is difficult. In Barbados mostly we get the promises but the action just doesn’t happen. Do you know that in the fifteen years since the first big Shell pipeline jetfuel spill on the south coast, no Barbados government passed a law requiring pipeline and gas tank owners to check for leakage each day, keep records and report spills? Isn’t that incredible? Do you know that there are absolutely no environmental standards and laws in Barbados regulating the use, handling, storage and disposal of toxic chemicals? Isn’t that incredible? But at least now we know that the promised environmental, sustainable, green, ecosystem, biosphere legislation is being spearheaded. Whew! That’s great, ’cause for a minute there I thought that no real action was taking place. Almost immediately after being elected in 2008, the Thompson DLP government changed the law to allow commercial development and building upon the Graeme Hall watershed — an area that had been protected in law for almost three decades. This was done so Prime Minister Thompson’s developer friends could profit from the sale of government lands at Graeme Hall and their own lands that border the nature sanctuary. 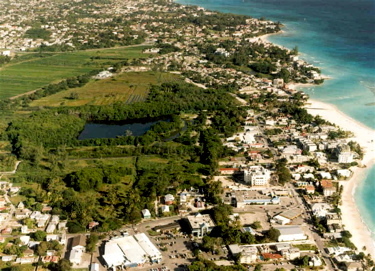 As an example, the adjoining land immediately to the west of the Graeme Hall Nature Sanctuary is owned by (surprise, surprise) CLICO! Now let us consider the fact that both the Owen Arthur and David Thompson governments have for a decade deliberately neglected to repair the sea gate at Graham Hall. As a result, the last mangrove forest on the island (a RAMSAR site) is slowly being poisoned as it is denied the natural ebb and flow of sea water into the mangroves. The government’s intent, of course, is to destroy the wetlands while avoiding the responsibility for doing so. When it is all done the swamp will be dead and the condo highrises will sprout in an area that should have been declared a national park. And the last major greenspace between the airport and the city will be more houses and commercial developments. My friends, please take the time to sit back and read the Natural Heritage advertisement (above) that appeared in the Barbados Advocate and really think about the disconnect between what the words say, and the reality of the government’s actions and inaction. Then answer this question for yourself: What do you intend to do to save the last mangrove forest in Barbados from a government that is so intent on profiting from our children’s future?